North facing mtn view bright one bedroom open plan condo in the Yorkville North, this being the 2nd largest one Bdrm and 2nd widest plan in the building giving a feeling of plenty of space. H/W flooring throughout, storage area can be usedden as well, large balcony with access from both living and bedroom areas. The bathroom is large with a separate soaker tub, shower & Kohler fixtures. 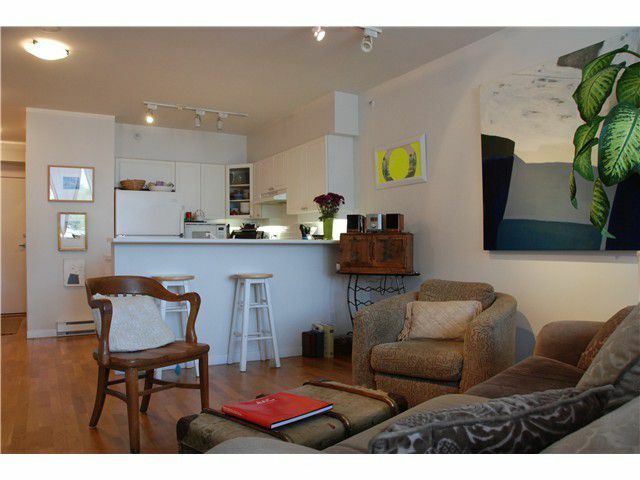 Location is number 1 here with Kitslano beach blocks away, 1st & 4th Avenue shopping, numerous restaurants and fitness!